Who Am I? Biddy Bytes’ Author and Disclaimer | Biddy Bytes: "Where Am I?" Husband and I live in RI and Asheville, NC. But my Writing World’s complex, since I draw on my life experience as Divorced Woman (once), Widow (twice,) Current Wife, Single Parent, Abuse and Breast Cancer Survivor, MS Patient, Bi-State Resident. As such, I travel different worlds. As to street creds, I’m a retired 30-year teacher and 8-year realtor who now freelance writes. My works have appeared in the Wall St. Journal, NY Times and CNN-acclaimed medical blog, kevinMD.com, as well as the Providence Journal. My husband’s a long-haul trucker of 30 years’ experience who drove the big rigs. 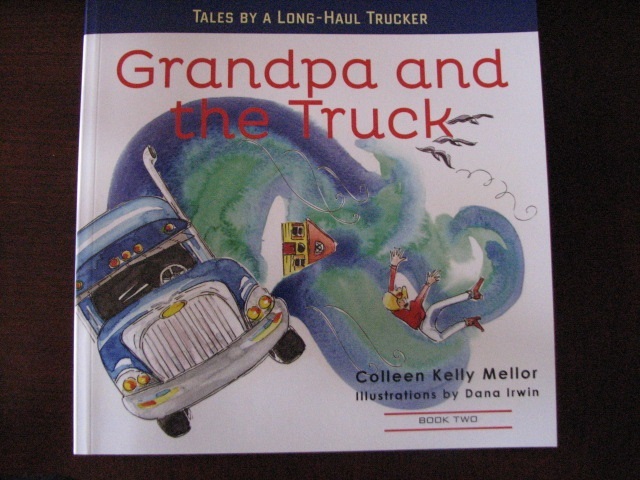 We’ve just released Grandpa and the Truck (www.grandpaandthetruck.com), Books 1 and 2, hailed “Cool Gifts for Kids” by the biggest international trucker’s association—OOIDA. Women In Trucking (WIT) like them, too. I began this blog, 3 years ago, in July, following my husband’s “death experience” after he was hit, on a mountain road, outside Asheville, by a 12-year-old girl, driving her uncle’s truck (don’t worry–he survived!) I called it “Biddy Bytes: Encouragement in a Difficult World.” It’s now “Biddy Bytes: Where Am I?” and documents my world as a Bi-State Resident/Traveler to NC and RI. As you can see (by the archives), I’m in my 4th. year of writing these posts. Stay tuned–It’s going to get exciting…..
***Disclaimer: CK Mellor professes no medical or consumer expertise and the opinions on this blog are solely her own (that’s why they’re unique, interesting, and sometimes outrageous.). That’s also why the property on this blog is solely hers and cannot be copied by others without the author’s written permission. ****Got a question or concern? E-mail me at ckmellor@cox.net. And consider commenting on my blog…I love it when readers do. Finding out neat stuff about my neighborhood! Glad to have you on board, Mike….and the fact you are a “Commenter” instead of mere reader thrills me even more. Thank you for this blog. You captured my attention immediately, your words are alive and intriguing. I am looking forward to reading more, more and more. I enjoy your humor and wrting skills very much.Cant wait to read your book,PATIENT WITNESS. Any way I can send a check for the two books or is the only way to get them online via PayPal? 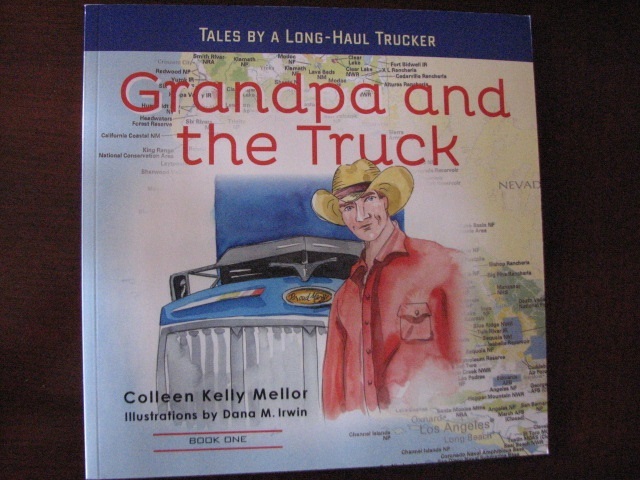 Deedra–You did mean Grandpa and the Truck books…correct? I ask since you sent your question via author information on Biddy Bytes where I mention my book, Patient Witness…That one is still being completed… I want to make sure we are talking about the children’s books you wish to order…Again, Thank you. I’m glad I found this blog. I enjoyed reading it. Every day I meet more and more people who also ‘lived’ the Melanoma piece…Thx for subscribing. Looking forward to being entertained, informed and motivated!